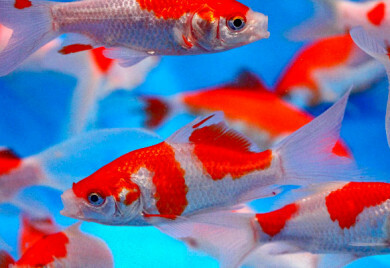 Goldfish: Shubunkins: GOLDFISH FOR PONDS: Shubunkins are excellent pond fish, Shubunkins are very colorful fish, Shubunkins are very color fish. 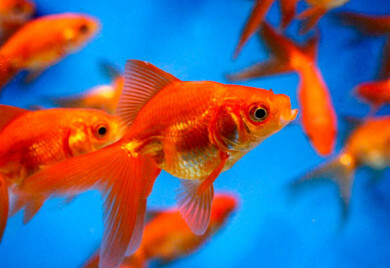 Goldfish: Sarasa Comets. 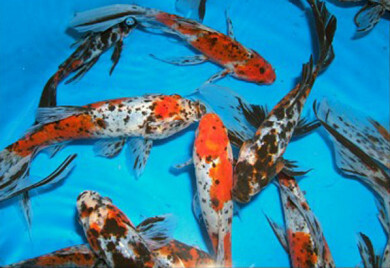 GOLDFISH FOR PONDS. 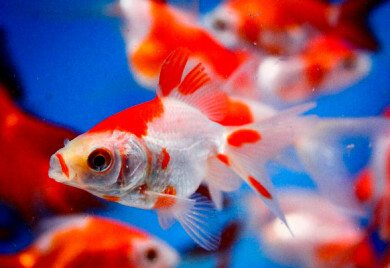 Sarasa Comet Goldfish offer a beautiful red and white pattern on a long, slender body with a flat, single tail.